I used to say that my friend Dan and I were the only people who had been to Prague and spoke poorly of it. We visited 10 years ago on our post college trip around Europe. There was just a dark/sketchy vibe following us around the city and the things that we did there. 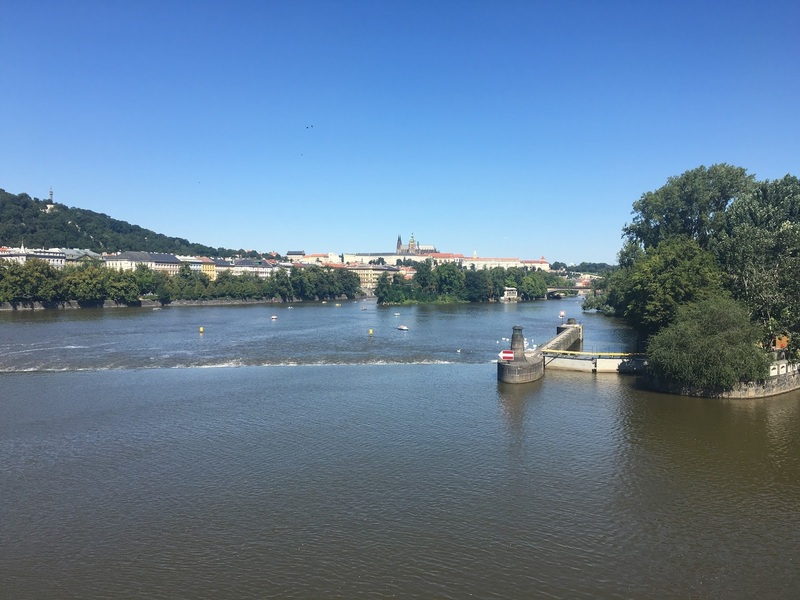 Ten years later, I headed back to Prague with Remote Year and I was confident that I would feel different about the city....and I did. How could I hate a city that defines art as a statue of two guys peeing into a pool shaped like their country? Warning: The video below is quite graphic. In fact, there's "weird" art like this all over the city from artist David Černý. After this statue was installed, apparently a lot people started calling 911 (for obvious reasons). It's actually a statue of Sigmund Freud hanging up there and it's supposed to symbolize the societal nature of something something something. Really deep stuff. I could watch that all day....and I did. And finally here we have the Žižkov Television Tower (known as one of the ugliest building in the world). Please notice the babies crawling up it... they were designed by Cerny. They have a set of those baby statues in a park nearby and they are quite creepy up close. And Cerny's work isn't the only "interesting" art in the city. 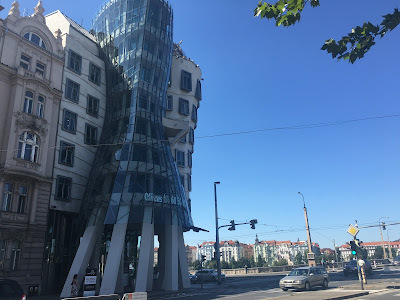 There's a building called the Dancing House. However, it is neither a house nor is it dancing. It actually appears to be some sort of office building that does not move at all. I have written to the mayor of Prague to start a ballot measure to change the name of this building. And then there's the Lennon Wall (John, not Vladamir...although that would be spelled Lenin....but I just wanted to clear up any confusion). 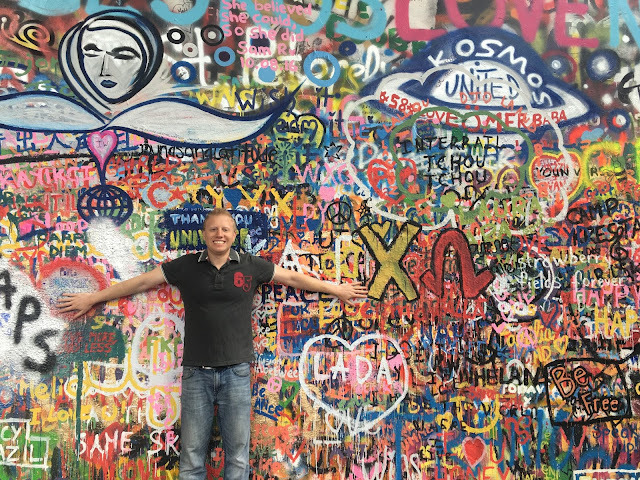 This wall has represented love and peace over the years, especially through the Communist era. Even today, anyone can paint anything they want on the wall. In fact, some of the more creative ones from our Remote Year group added their mark to the wall (I am not creative and so added nothing). In addition to (or in spite of) Cerny's work, the city is quite beautiful. The highlight of the city being Prague Castle overlooking the river. As you may or may not know, I consider myself an expert photographer. 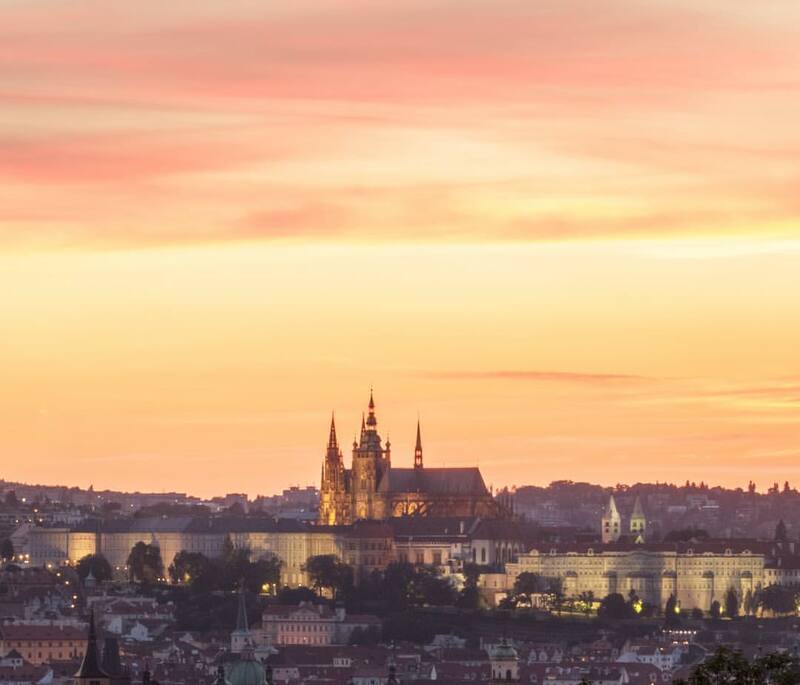 So, when it comes to capturing Prague's beauty, I rely on my skills to do the talking. Sometimes I let guest photographers include a picture on my blog (just so they can get some exposure from my giant readership base). I decided to let the exquisite Mr. Matt Sherwood include a picture in my blog (or I asked him if I could include one of his pictures since he's an amazing photographer). Fine he's better than me. Here's another one of my crappy photos at night. 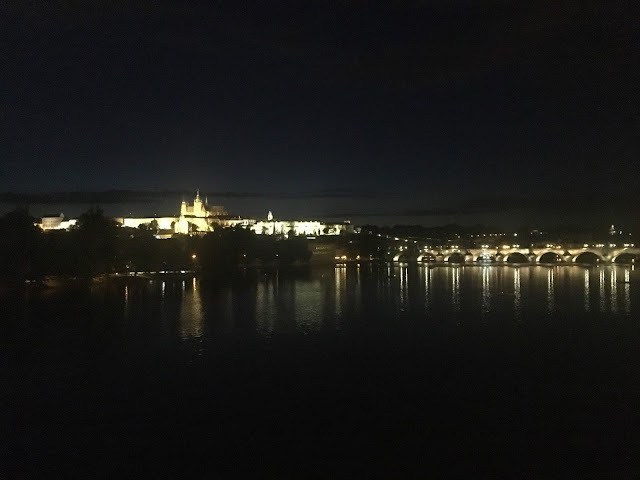 And here's one of Charles Bridge taken by the fastidious Mike Chino. 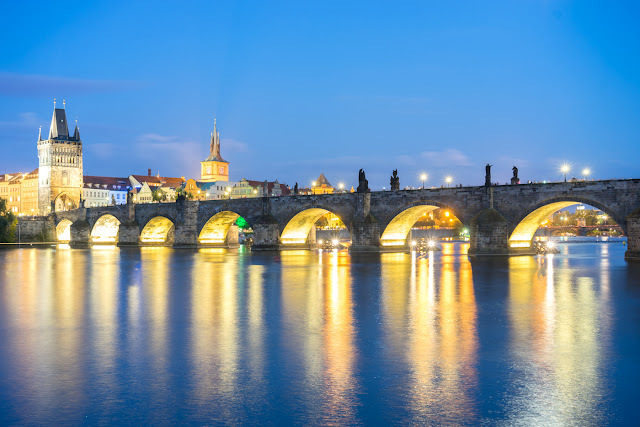 In addition to its beauty, Prague has a lot of history. They say this land existed when earth was formed. 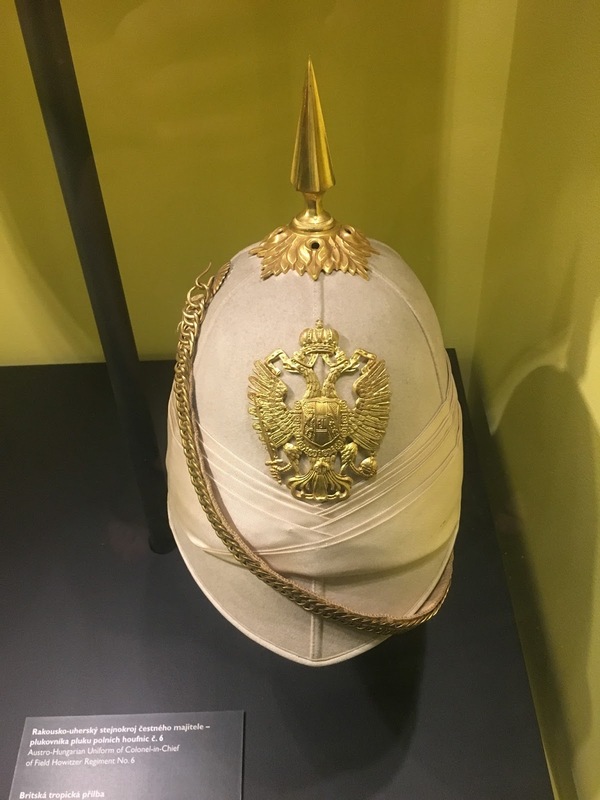 But more recently, it had a big role in World War 2. Most of Czechoslovakia was just handed over to the Nazi's before the war even started, as part of the Munich agreement. I always found it interesting that a country could be given away, especially without even inviting that country's people to take part in the negotiations. Churchill came out of these negotiations telling the British people, "My good friends, for the second time in our history, a British Prime Minister has returned from Germany bringing peace with honour. I believe it is peace for our time. We thank you from the bottom of our hearts. Go home and get a nice quiet sleep." 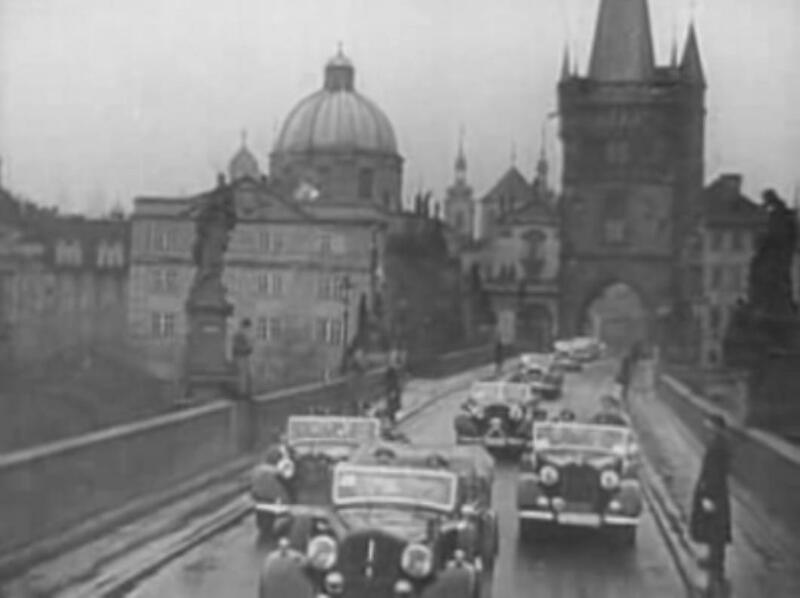 Hitler loved Prague and spent a lot of time there. 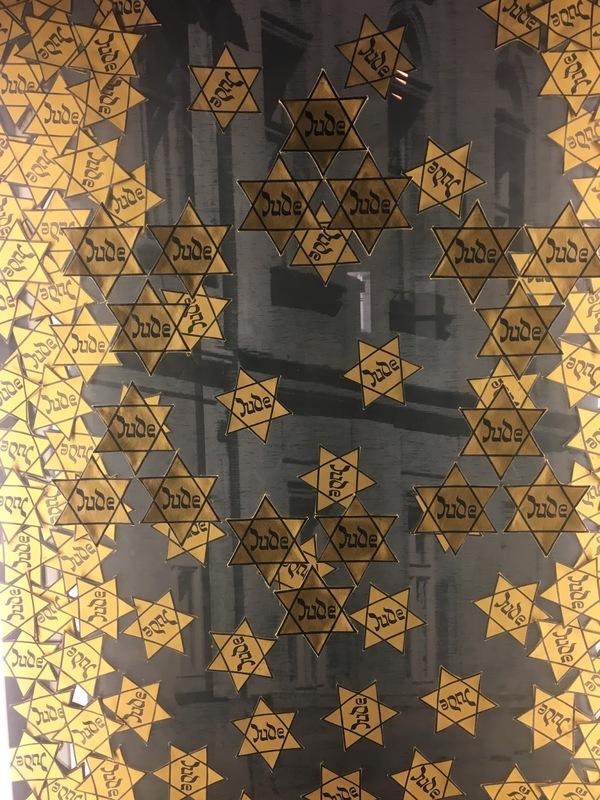 It was also the home of Reinhard Heydrich, designer of the final solution. 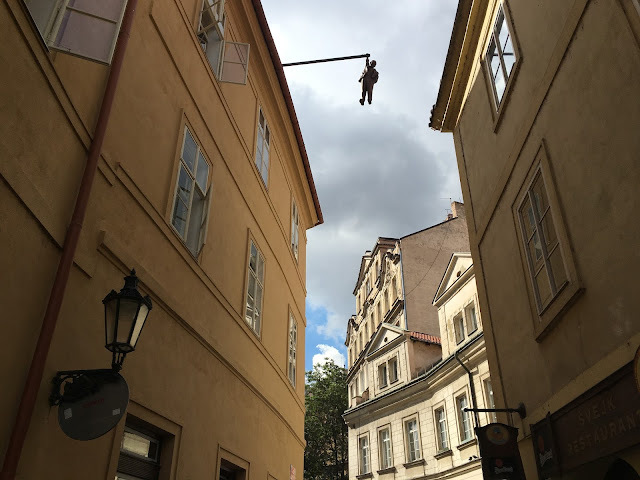 Heydrich was assassinated in Prague and they still have the hideout of the assassins marked today (with a bar dedicated to them across the street). 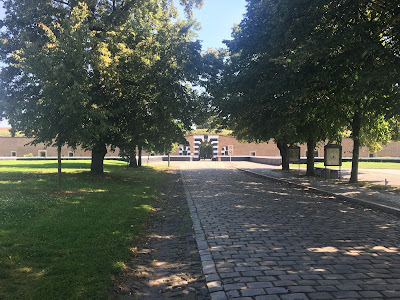 Speaking of World War 2, I visited the Terezín concentration camp right outside of Prague. Terezin was a fortress constructed several hundred years earlier, but the Nazi's took it over and turned it into a camp upon occupying Czechoslavakia. As expected, there were a number of intense areas preserved in the camp, but a couple really stood out to me. 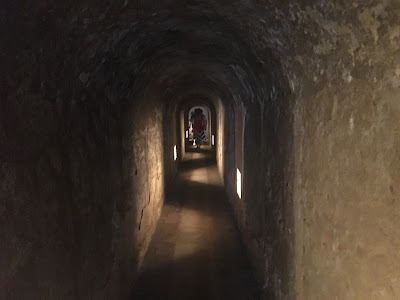 The first was the tunnels of the fortress that run under it's fortifying outer walls. While in operation as a camp during WW2, prisoners marched a quarter of a mile through these tunnels to an execution field on the other side. 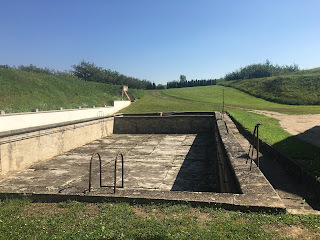 The SS guards of the camp actually lived in the fortress with their families during this period which is just mind boggling to me. Their families had completely "normal" lives and they even built a swimming pool on the grounds. 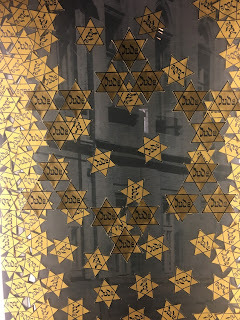 The town around the fortress was made into a Jewish ghetto where Jews were promised that they could live a "normal" life. Today, the town basically just stand as a historical site as no one wants to live there. Moving outside of World War 2, there's lots and lots of history in this city. They say the city was formed during the big bang. But more recently, the Commonists controlled the country after World War 2. The mark of this era can still be felt very strongly throughout the city today. 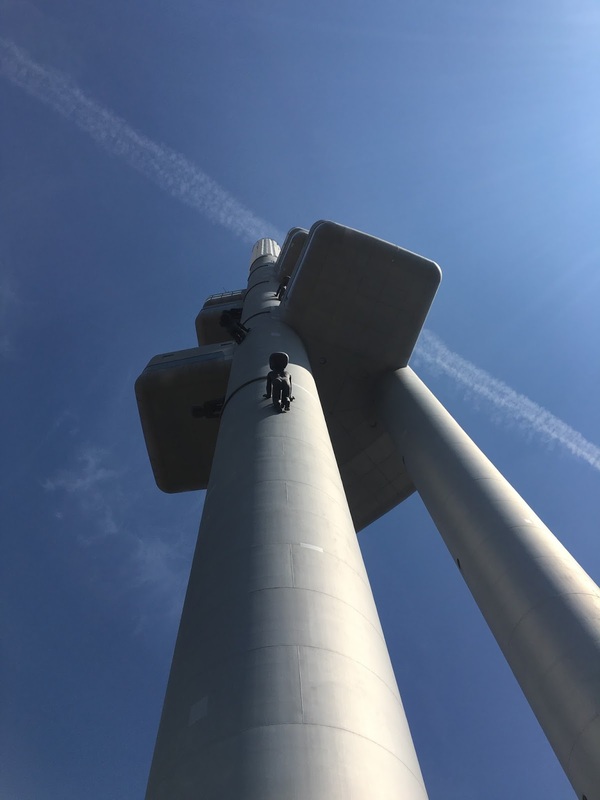 The Žižkov Television Tower (with creepy babies added later) was actually originally built to block signals from the west. Prague's history is pretty clearly shown through its historical architecture and layout. It seems like a large amount of cities throughout Europe are still dominated by buildings from long ago. It's quite different than back in the USA. Everywhere in America, cities are constantly being torn down and built higher, but in Europe, cities are historical so can't be torn down. I don't understand how cities expand in Europe? They can't just expand out instead of up. I feel like they would be ginormous by now if that was the case. So, where do they expand? The previous rant was brought to you by Budweiser. 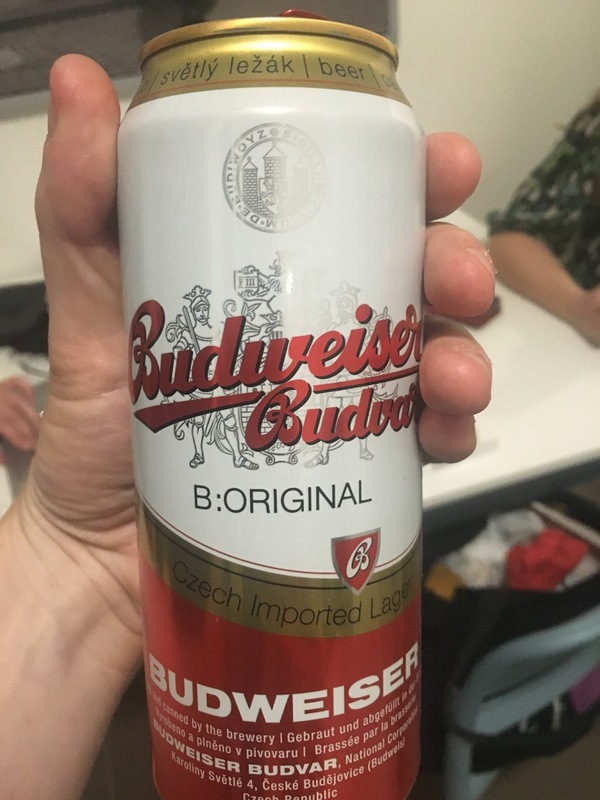 The Czech Budweiser, not the American Budweiser. The Czech and American Budweiser companies have actually been in a brand dispute since the 1800s. Because of this, Czech Budweiser is sold in North America under the label Czechvar and American Budweiser is labelled as Bud in all European Union markets, except for Ireland and the United Kingdom. That about sums up Prague for me. 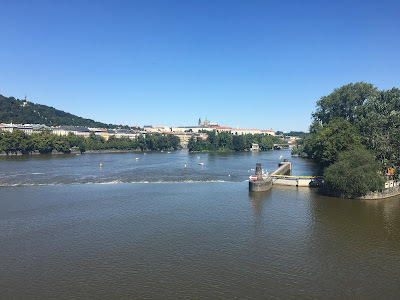 There is much more that I could have been explored and talked about, but I actually didn't spend a single weekend in Prague. 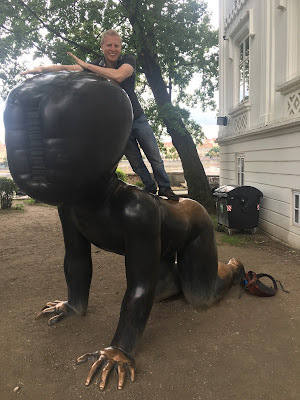 I visited Dublin, Lisbon, Vienna and finally Budapest. But I'm going to save those experiences for my next post, so get excited!